Eminence Organic Masques are 30% off during the month of August. Stop in and pick one up today! Take a trip to Hungary and treat your senses and your skin to an exotic skin care line that brings together high quality Hungarian ingredients with an old world knowledge of herbs and fruits. Eminence Organics masques address a variety of skin concerns such as premature aging and wrinkling, sun damage, acne, loss of vitality tone and radiance. The cures come from nature with ingredients that are good enough to eat. Let the aromas treat your senses and the ingredients impart health and beauty to your skin. Blueberry Soy Repair Masque – replenishing, antioxidant for normal to dry skin types – a delectable puree of whole fruit blueberries blended with wholesome non-GMO soy yogurt. Dehydrated summer skin is plumped and soothed with calendula petal oil and shea butter and an active combination of Vitamins A, C, E, coenzyme Q10 and evening primrose oil. Bright Skin Masque – pigment lightening for normal to dry skin types – Say goodbye to hyperpigmentation and dark spots naturally with active botanicals in this clarifying and lightening masque. Gigawhite and a Natural Hydroquinone alternative deeply target uneven pigmentation while stone crop and bearberry nourish the skin. Calm Skin Arnica Masque – for sensitive and rosacea prone skin types – Get out of the red and into the clear by calming the appearance of rosacea naturally with soothing marigold, ivy and arnica. Signs of redness are minimized with organic ingredients aimed to detoxify the skin and reduce inflammation and irritation. Clear Skin Probiotic Masque – for sensitive and acne prone skin types – Say goodbye to problem skin and hello to a radiantly clear complexion with clarifying and calming ingredients. Cooling cucumber tones and revitalizes skin while refining yogurt works to exfoliate and eliminate the signs of acne so your skin will glow with newfound confidence in no time. Coconut Cream Masque – ultra nutrition and hydration for normal to dry skin types – a coconut dream for the face with ultra hydration, infuses the skin with nurturing coconut milk, oils and chunks of ripe coconut. Skin feels firmed smooth and youthful. Firm Skin Acai Masque – for anti-aging – get glowing, youthful skin that boasts the appearance of fewer fine lines and wrinkles by feeding it with the phytonutrients, antioxidants and vitamins found in acai, blueberry, raspberry and brambleberry. When combined with the hydrating powers of botanical hyaluronic acid, skin is plumped and regenerated to turn back time for skin that appears ageless. 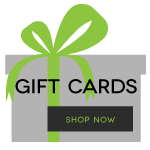 Lime Stimulating Masque – stimulating gel treatment for oily/non-sensitive/dry/fatigued skin types – Detoxify sluggish skin and slow aging with natural phyto-hormones and vitamins found in lime. Nettle further oxygenates with active stimulation to leave the skin rosy and beautiful while thermal waters supply fresh minerals to give the skin clarity, and to increase circulation. A great pick-me-up before an event or a night on the town. Please note that this is a very active masque and it is normal to have redness for up to two hours after treatment. Raspberry Pore Refining Masque – refining and firming masque for all skin types – Raspberry, blackberry and blueberry provide an astringent effect to tighten pores and ward off free radical damage. Suitable for all skin types, this antioxidant masque firms and smooths skin to unveil a flawless and refined complexion. 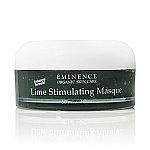 Eminence Organic Masques can be used 1-3 times per week. With the exception of the Lime Stimulating Masque, these Eminence Organic Masques can be left on anywhere from 15 minutes to overnight.